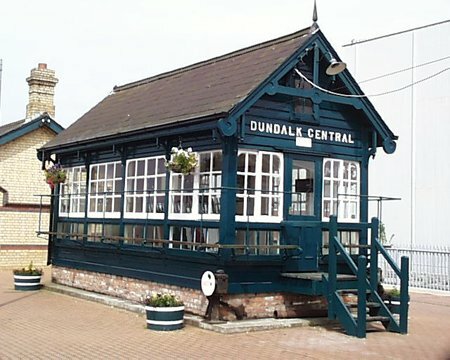 Built to replace a station originally designed by Sir John MacNeil around 1850, Clarke Station is situated at track level beneath the surrounding street level and is the finest station on the main Dublin – Belfast line. A small ticket office building at road level leads to a covered walkway down to the four platforms with their impressive glazed roofing. 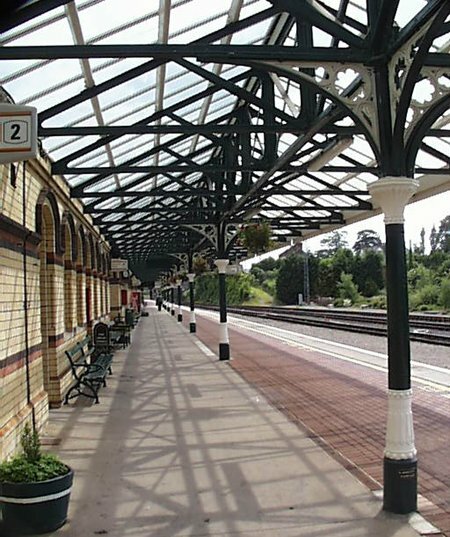 The station proper is main up of several buildings set between the two main platforms and surrounded by cast iron and glass canopies. The polychromic brickwork is finely detailed with window and door surrounds executed in different colours. There is a well preserved signal box further down the main platform. A museum exists in what used to be the first class waiting room. 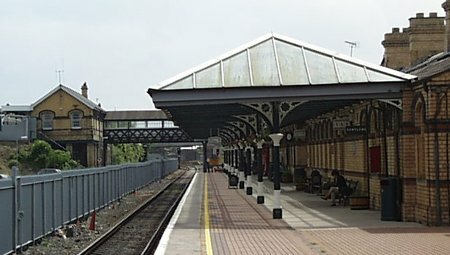 Until fairly recent times, signage existed on the platforms for stations and lines now closed – Monaghan, Clones, Newbliss. There are fine but neglected railway sheds belonging to the former GNR Works.